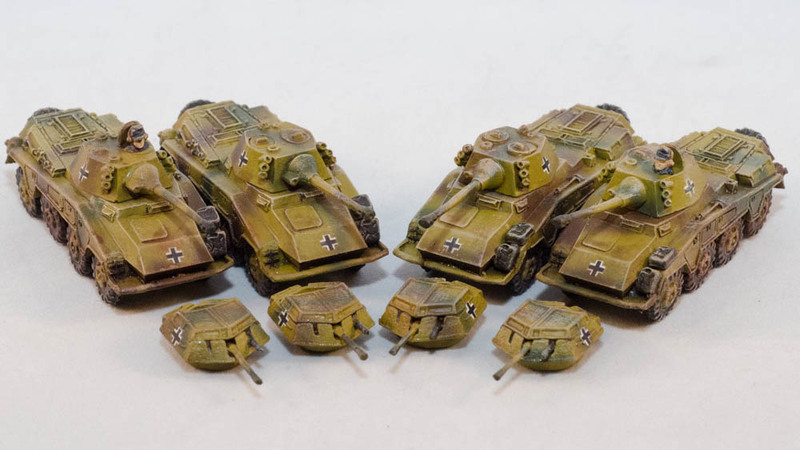 In addition to the soviets I have also been painting new Flames of War German Army Models. 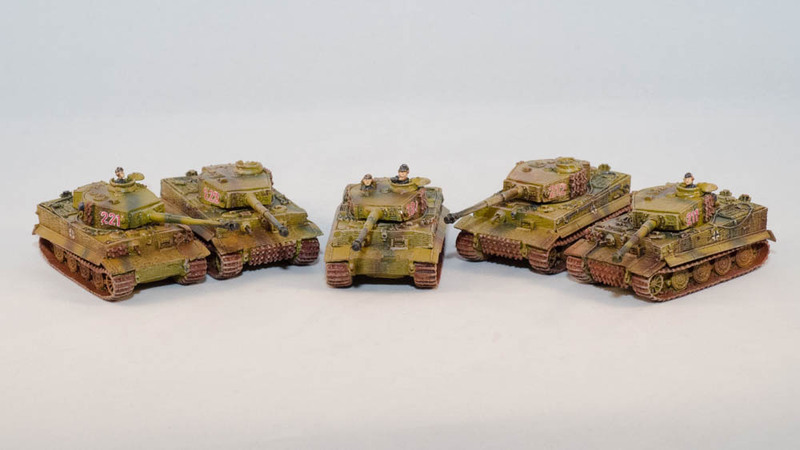 I have faced several five Tiger 1E lists, and I thought it was time I built one for myself. The intention is to have a commander with a Tiger 1E and two platoons of 2 each. I have seen it very effective when properly supported and not as expensive as lists using other very large cats. 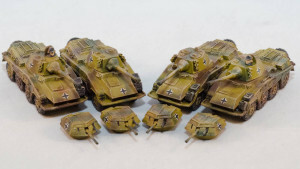 The models are also useful in Mid and Late War armies. I also got some new pumas that I wanted to match to the painting scheme. I already had some old pumas that I might be trading soon for more soviets.